It’s Ramadhan, Alhamdulillah. So I might put down some Islamic comics ideas I’ve put of for a while. 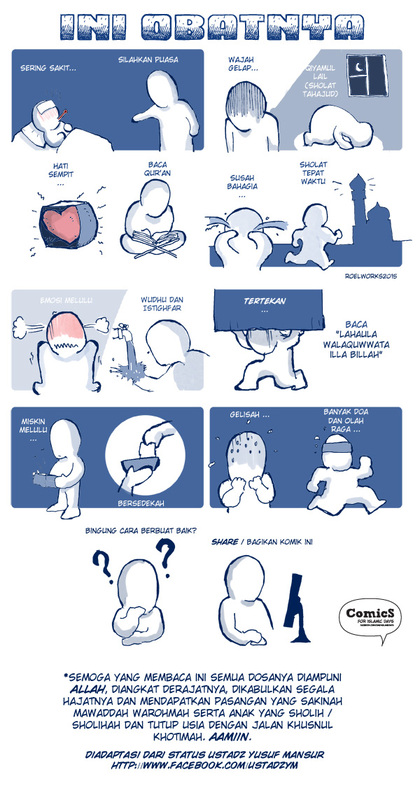 Also the #Ramadhancomic iniative on Facebook asked me to contribute (gak pede pol , dah). This comic is also posted on Comics for Islamic Days website and Facebook. It’s in Indonesian.